After Halo® 3 hits the streets on September 25, Best Buy is sponsoring the Xbox LIVE® Gold service and making it free for everyone for the next three days. 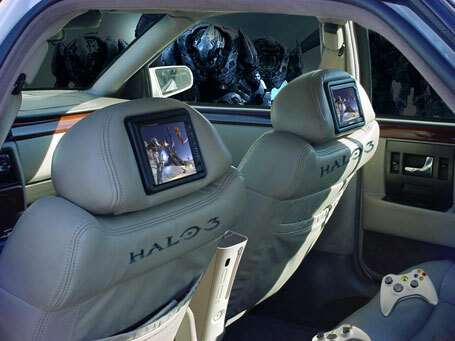 Think of it as Halo Free Days! From September 25 through September 27, try ALL the Halo 3 features free—online co-op, multiplayer, Forge editing, viewing networked Saved Films, and using the File Share system. Thanks to Best Buy, during those first three days, all you need is an Xbox 360 console, a broadband connection, and a copy of Halo 3. You'll have access to the Xbox LIVE Gold online features for any game, not just Halo 3. As is that weren't enough for the biggest game of the year, Best Buy is also sponsoring a huge Play & Win event during the Halo 3 Free Gold Days. 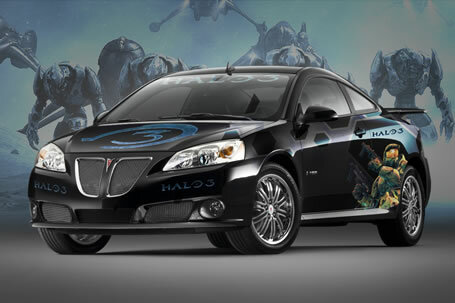 Over a million Microsoft Points will be given away, as well as a Grand Prize of a Pontiac G6 GXP Street Edition. Just register your gamertag, before September 27 and then play a Halo 3 game online. You'll receive an entry into the sweepstakes for each day you play between midnight September 25 and midnight September 27 (all times Pacific). After October 5, 144 lucky winners picked in a random drawing will each receive 8000 Microsoft Points to spend in Xbox LIVE Marketplace. You must register for your chance to win. Register your gamertag at http://www.xbox.com/bestbuyreg before the end of the promotion on September 27. Check out the Play & Win rules for full details on the sweepstakes, including more info on how to register and participate, alternate methods of entry, and detailed prize information. The Play & Win promotions from Xbox.com are an easy way to jump in and interact with the Xbox LIVE community. It's easy to enter and you could win some great prizes. Look for more exciting Play & Win promotions in the future!